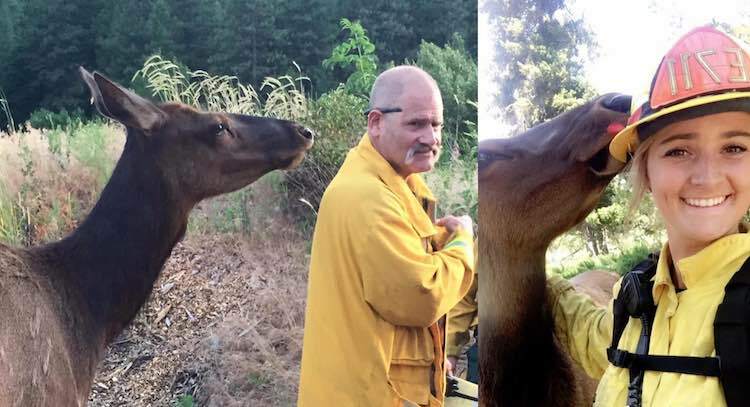 An elk showed up to personally thank firefighters with kisses for stopping the wildfire that was threatening her pasture over the weekend. Buttons gained local fame in Cle Elum, Washington when she took up with a herd of cattle after being orphaned when she was a calf. 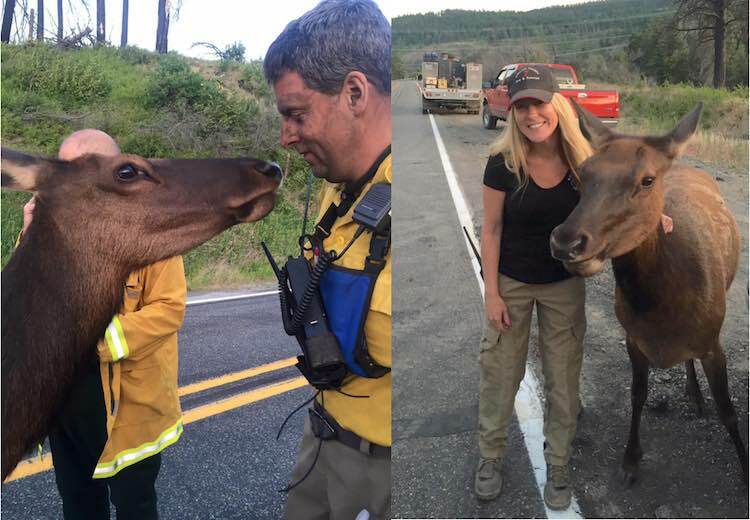 When firefighters set up a command post nearby to battle a pair of wildfires in the area, Buttons wandered over and personally introduced herself to every firefighter she saw, letting them pet her, and placing her head on their shoulders.